Union Minister for Information and Broadcasting M. Venkaiah Naidu on Wednesday informed that Jammu and Kashmir Chief Minister Mehbooba Mufti has also extended her support to Centre's nominee Ram Nath Kovind for the post of President. Naidu while talking to media here, said that he had a very fruitful meeting with Mufti and the state party cadre who have extended their support to Kovind. "Had a very fruitful meeting with the Chief Minister, party colleagues, MLAs and MPs. They have pledged to support us. 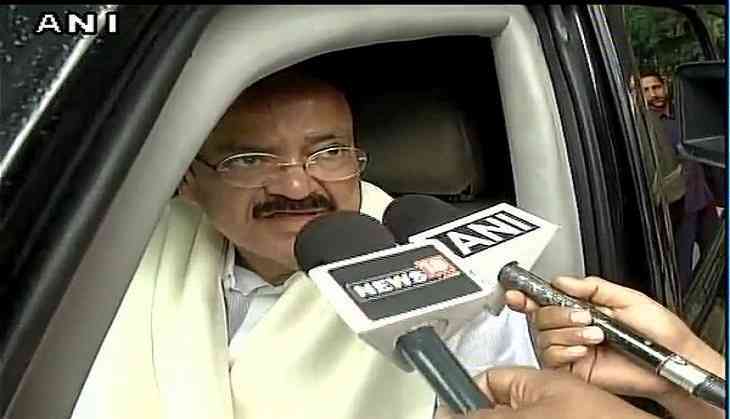 We are united, opposition is divided," said Naidu. Kovind earlier today met MLAs of PDP, BJP and Peoples Conference as part of his campaign for the July 17 election. Kovind arrived here today and held a joint meeting with the MLAs of PDP, BJP and Peoples Conference coalition partners in the state government. PDP has assured the BJP, with which it shares power in the state, of its support.